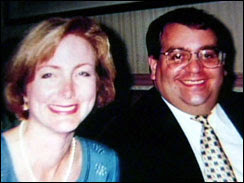 Nov. 15, 2004 Peter and Joan Porco were attacked while they slept. An intruder made a deliberate path into the house with use of a hidden key and then disarmed the security system by using the master code and the alphanumeric keypad. Without disturbing anything within the home the intruder made his way to the master bedroom and began his vicious attack by brutally swinging an ax directed toward the faces of his victims. Somehow the couple survived the attack. Peter would later die at the hospital, but Joan recovered to a degree. Her face will forever be a reminder of that night even though her memory has faded. When police were summoned to the scene, they found Joan lying in her bed surrounded by a pool of blood. Remarkably, she was able to respond to verbal com mands to move her hands and legs. Detective Chris Bowdish had already sized up the crime scene and determined that there had been no forced entry. This led him to ask Joan, 'Can you hear me?' And she nodded her head yes. I then started feeling that this woman knows what’s going on." "I said, 'Did a family member do this to you?' And she nodded her head up and down clearly, yes. Now everybody in the room’s standing there at this point, I’ve got witnesses." Bowdish continued. "And I said to her 'Did Jonathan do this to you?' And she clearly shook her head back and forth, 'no.' At this point I knew she could hear me. 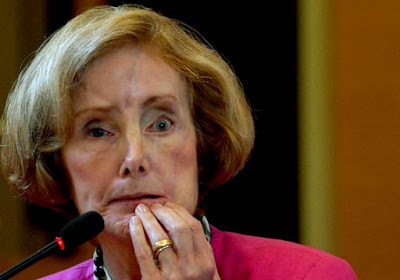 I knew she understood the answers to the questions," Bowdish remembers. "And I said to her, 'Did Christopher do this to you?' And she then shook her head up and down. She nodded. Yes he did." Peter and Joan have two sons. Jonathan was 23 and Christopher was 21 at the time of the butchery. Christopher later stood trial for the murder of his father and attempted murder of his mother. I saw that on 48 Hours last night! That kid was as cold as ice! I feel sorry for the woman, but I think they got the right man. Is there any chance this guy was not guilty and just doesn't show his emotions? You have a guy who is stupid enough to drive his bright yellow jeep and supposedly park it in his parents driveway, but, he's smart enough to somehow remove every ounce of bloody clothing from his body without leaving a trace of fibers or blood anywhere. Come on! This case was a farce. He had lived in the house so him leaving fibers behind is a non-issue. He probably put on surgical clothing he had taken from the Vet's office then placed them in a plastic bag before he left the house. This kid was flunking out of school, up to his eyeballs in debt, had already tried to rip-off his parents more than once and he decided the insurance money was looking pretty good! He did it and he should rot in jail!!!!!! It is strange that he would have planned this murder out to such detail and then show up in that yellow jeep. The neighbor had no reason to lie though, did he? Hey Mike, I landed here from Greta's blog. I don't live far from where this happened and can say that I don't know anyone who thinks that this kid didn't commit the crime. He's where he belongs, behind bars. His mom, well she's his mom, she stood by him during the trial. Perhaps she truly doesn't recall the events of that evening now or maybe it's just a mothers love for her child. Kim - Yes, this is a very tragic story and you are right. Mother's will defend their sons under the most adverse circumstances. I found the whole story to be extremely sad and filled with ruined lives.